Hello, I am the wife of Dr. Hybza and the Co-Owner of his practice. Ed and I have been married since October of 2001. We have three wonderful boys that keep us very busy. I enjoy being involved with our boys' activities and volunteering in our community. Manistee is a wonderful place to raise our family. I enjoy my role as the Office Manager, taking care of our daily office details. Along with being the office manager, my responsibilities include the insurance billing, receiving and bookkeeping. We are very blessed to have such great employees and wonderful patients in our lives. It's a pleasure going into work every day. Brooke Sage, LMT is a graduate of The Blue Heron Academy of the Healing Arts and Sciences in 2008. She has a certificate in Medical Massage Therapy. In November 2014, Brooke received a certificate from Beaumont Health System for Oncology Massage. She obtained her License for Massage Therapy through the State of Michigan in 2014. Betty had worked with Dr. Hybza as the Office Manager from 1999 until her retirement in 2009. She came out of retirement to work the front desk two days a week and enjoys seeing all of the patients again. Betty enjoys traveling with her husband, Conrad, golfing, volunteering and spending time with her kids and grandkids. She is a member of the Elks Club, Manistee Golf & Country Club and the Good Shepherd Lutheran Church in Manistee. 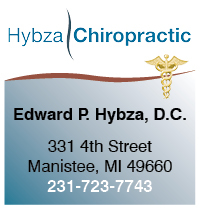 Hybza Chiropractic is really blessed to have Betty as part of our work family again. She is a super lady!